Watch The String Beans on YouTube. 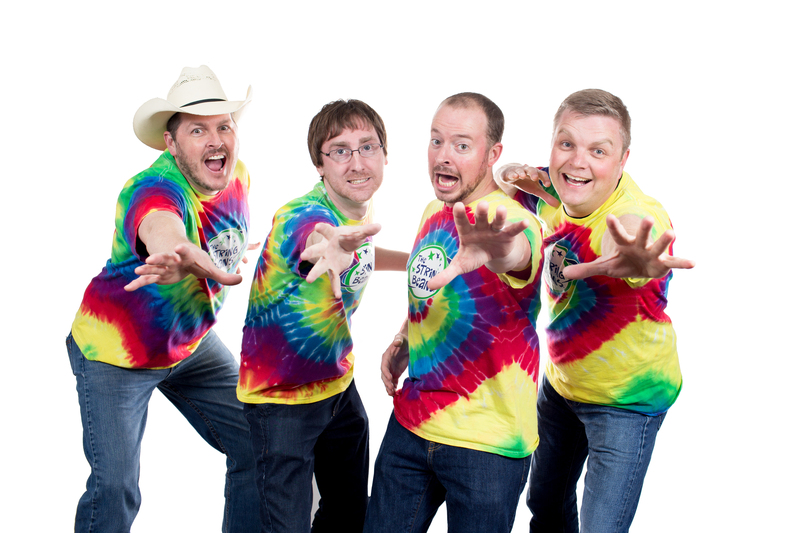 With a hilarious stage show and hundreds of catchy, original songs for kids, The String Beans have been a favorite choice for family-friendly entertainment in Nebraska since 2004! From pop and country to rap and rock n’ roll, The String Beans perform a wide variety of original songs about all the things kids love: animals, books, cartoons, food, history, play, science, sports and lots more! Each show is engaging, inclusive and spontaneous, and each catchy tune is designed to get every audience dancing and singing along! Since 2004, The String Beans have played concerts at fairs, festivals, libraries, schools, churches, museums, zoos and more, delighting pre-school through elementary-aged audiences, not to mention parents, teachers and communities. In their hometown of Lincoln, Nebraska, the “Beans” sold out the Lied Center for Performing Arts and consistently set new attendance records at the Lincoln Children’s Museum’s “Music & Mozzarella” concert series. The band has also performed for the Governor’s Arts Awards and recently completed a tour of the southeast United States. Technical requirements: 20’ x 10’ level performance space, access to a grounded electrical outlet and normal room lightning. For outdoor performances, event organizers should provide protection from elements (sun, wind, precipitation, etc.) and access to a grounded electrical outlet. Band can provide PA system. Availability: No travel limitations or schedule restrictions at this time.